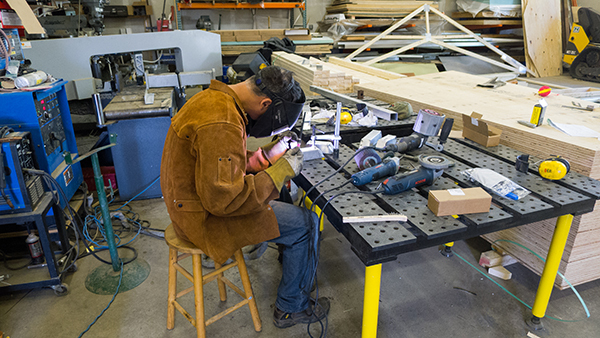 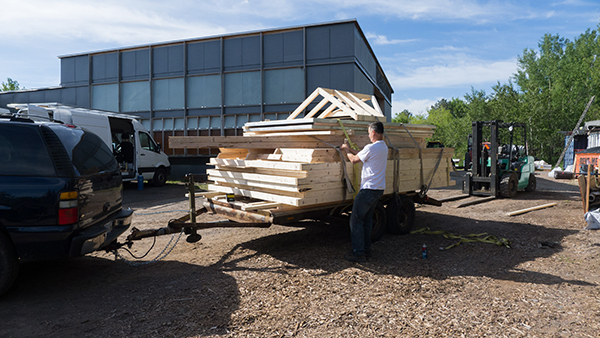 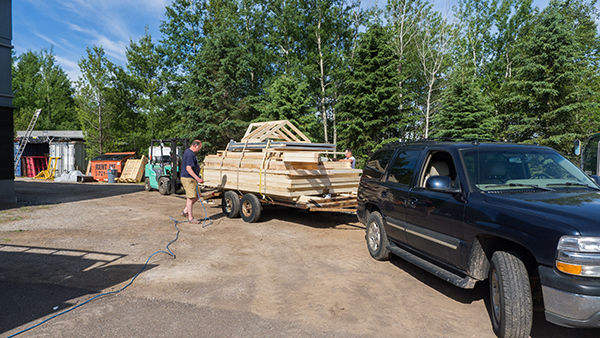 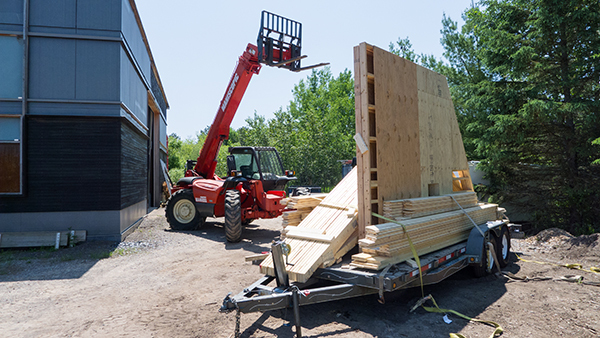 We have a project on Madeline Island this summer, and to ease the logistics, we thought we’d do some prefabbing. 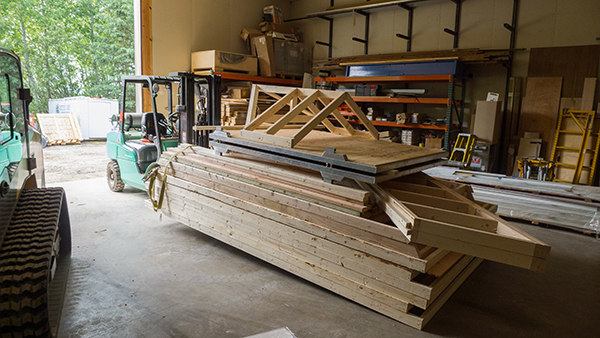 The project is a boat garage. 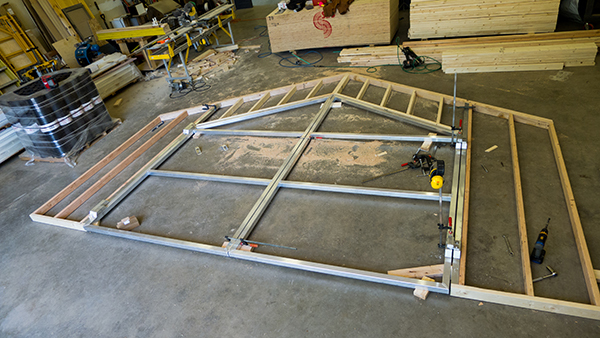 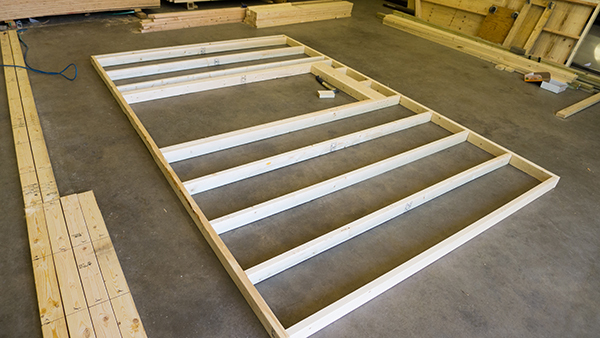 Below are images of building the walls and 12′-high swinging door in our shop. 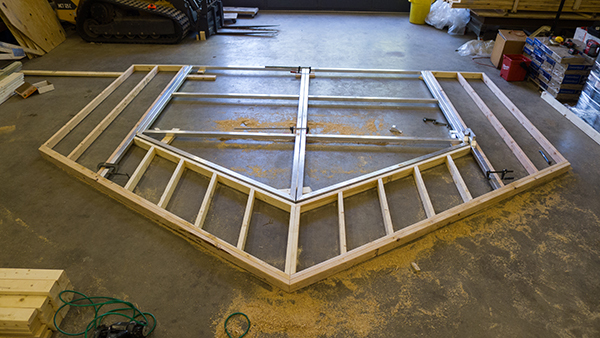 Andy’s welding talent was put to use on the aluminum-framed door. 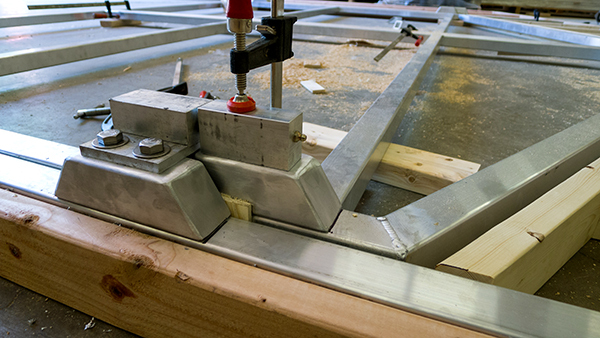 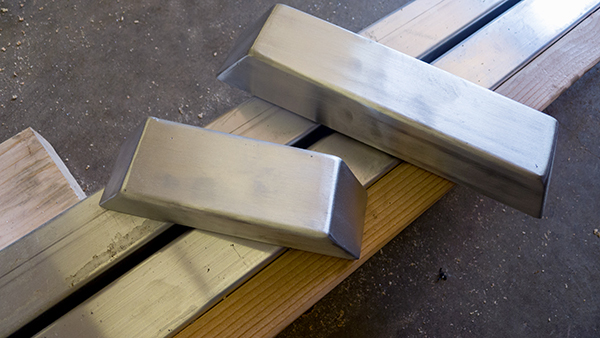 He made the hinge mounts out of aluminum too, each piece perfectly crafted. 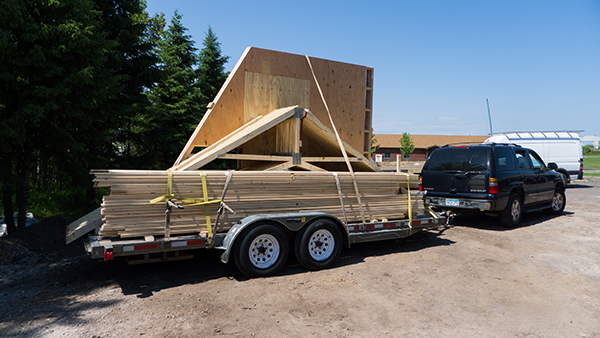 We loaded up two trailers of “parts” to be taken to the island before we go over to build.